Abstract: Embedded systems in safety-critical environments demand safety guarantees while providing many useful services that are too complex to formally verify or fully test. Existing application-level fault-tolerance methods, even if formally verifed, leave the system vulnerable to errors in the real-time operating system (RTOS), middleware, and microprocessor. We introduce the System-Level Simplex Architecture, which uses hardware/software co-design to provide fail-operational guarantees for both logical application-level faults, as well as faults in previously dependent layers including the RTOS and microprocessor. 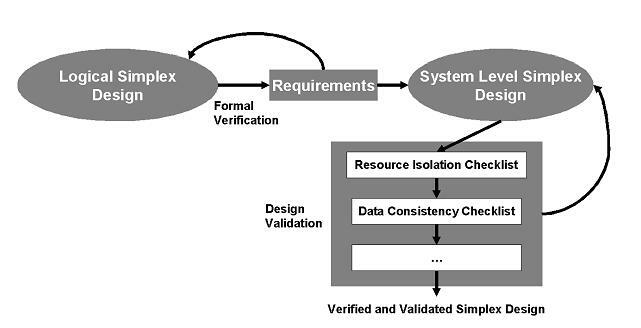 We also provide an end-to-end design process for the System-Level Simplex Architecture where the AADL architecture description is automatically constructed and checked and the VHDL hardware code is generated. To show the efficacy of System-Level Simplex design, we apply the approach to both a classic inverted pendulumand a cardiac pacemaker.We performfault-injection tests on the inverted pendulum design which demonstrate robustness in spite of software controller and op- erating system faults. For the pacemaker, we contrast the provided safety guarantees with those of a previous generation pacemaker.